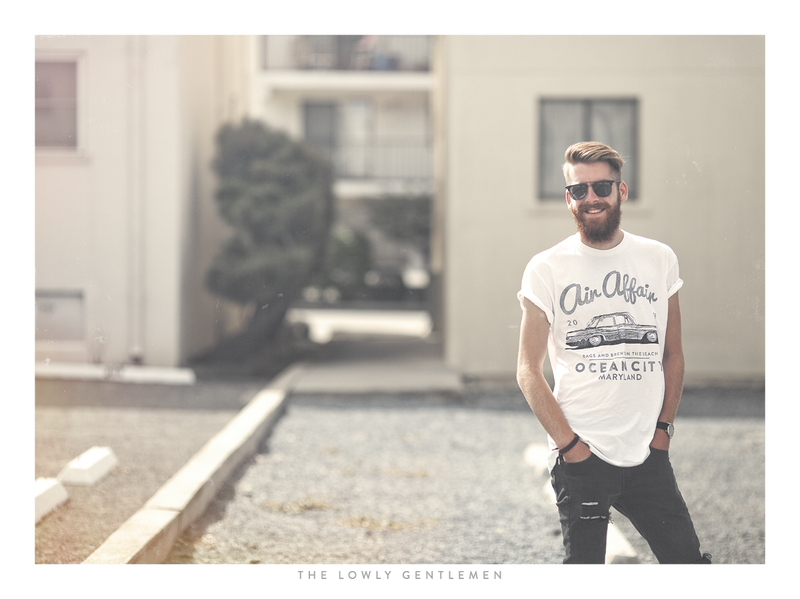 In celebration of the design and engineering that go into every one of the iconic wheels that have earned their spot in automotive history, The Lowly Gentlemen are offering a special #WheelWednesday discount on our wheel shirt designs. For Wednesday only, we are offering %30 off the original price while supplies last. Some sizes may be running low as we clear our shelves for the upcoming winter line, so place your order before they're all gone. The Search & Restore Wheel Shirt takes inspiration from the sketchbooks where wheel designs are first born. There's something special about the planning stages of industrial design and a beauty to be found in the sketched lines of an initial concept. The Search & Restore shirt features many of the classic wheels that we're all familiar with. It's the perfect wardrobe addition for the wheel lovers out there. The StanceWorks Felgen Shirt pays tribute to the wheel hobbyists that enjoy spending their evenings disassembling, refurbishing, and rebuilding multi-piece wheels. Modular wheels are a staple in the StanceWorks community and they play an important role in our quest for automotive expression. 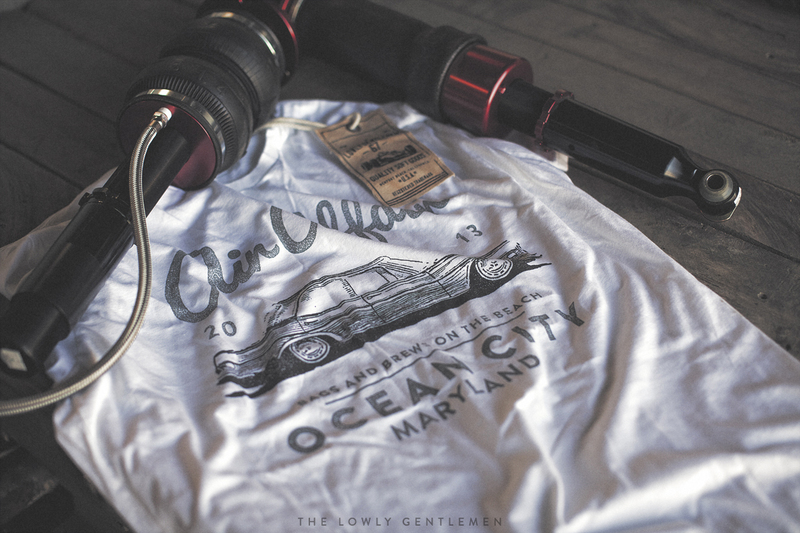 In an old garage aesthetic, the StanceWorks Felgen tee is printed with soft inks on a quality heather gray shirt. In addition to the #WheelWednesday discounts, The Lowly Gentlemen have added the remaining stock of Air Affair shirts to the online store. Now available to all customers, the Air Affair shirt is a special limited edition print for the yearly Air Affair get together hosted at H2Oi in Ocean City Maryland. To purchase your Air Affair Shirt, Click Here. 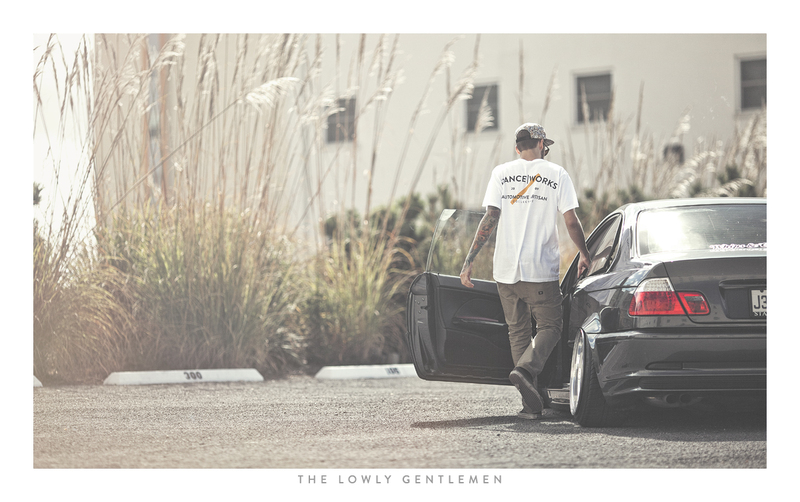 We are also pleased to announce that The Lowly Gentlemen Store has been restocked with the staple StanceWorks Artisan Collective Tee. All sizes are now available once again. 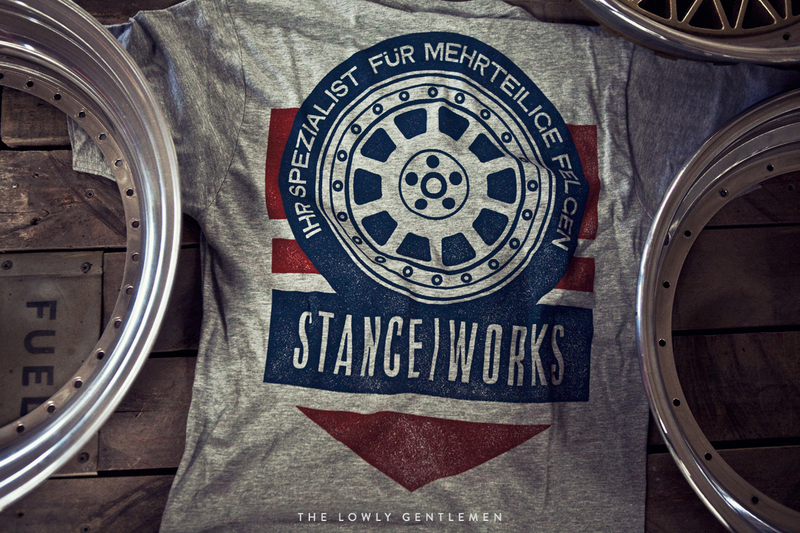 Pledge your allegiance to self expression and fabrication and join the ranks with the stylish StanceWorks Artisan Collective Shirt.